Progress Test Studio Review: "One of the best UI Automation tools out there"
Currently being used for development of testing automation of web applications. It is being used by the QA Department to help us on tedious repetitive tasks that can be automated. It is mainly used for regression testing. We are also considering to use it for API testing and from my initial tests it is looking good. The element repository is a great feature and really help us save time when the interface is changed. C# or VB.net can be used to edit code making it even easier for those who have previous knowledge on such languages. The coding IDE is a tad slow compared to Visual Studio. Quite expensive, but there are several features that make up for the price. It is very good for testers who have little coding experience but are willing to learn. It is very good for regression testing and really helps us identify issues that could have been a detriment to our end users. It is also great to keep track of the performance of pages across time. Progress Test Studio Review: "Great experience over all"
Great experience over all. Telerik/Progress was very responsive to questions in the beginning when evaluating the product. Great online help for getting the product into production. Test Studios is an easy product to learn and can be picked up relatively fast. The product is easy to learn and any customer making web based application will greatly benefit from a product like this and cut down on testing time. As new code builds go out it's an excellent tool for regression testing. The load testing feature has a great benefit as well and lets us test the limits of the application on different platforms and allows us to tweak the certain area and test again. Progress Test Studio Review: "Good experiences of TestStudio in cloud solution regression tests"
Progress Test Studio Review: "TestStudio enabled test automation on a Silverlight application"
testing is replaced with a efficient test automation. 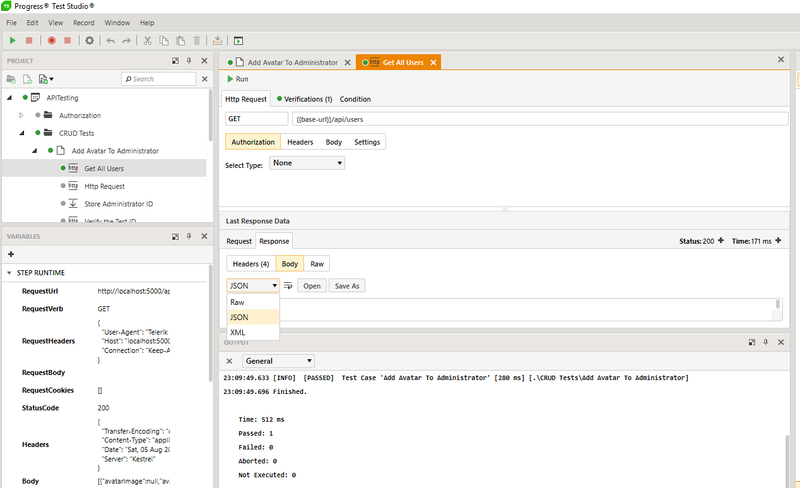 Test studio is used to automate regression tests of our cloud solution portfolio. Reduces manual testing work considerably. Possibility to schedule test runs outside office hours. Client start-up time is a bit slow. Application is a bit sluggish, when there is a lot of tests open. Automated scheduling environment is a bit challenging to maintain. Testing user interfaces implemented with Silverlight technology. Progress Test Studio Review: "User friendly Testing Tool with dated documentation"
Test Studio is being by one of our business units to support quicker delivery of new software enhancements to our customers. The user interface is really user friendly and non intimidating even for less technical personnel. Recording of test makes it really easy to capture test steps in a natural way. The ability to link multiple test together and re-use test is a great feature. The user documentation and training materials seem to be outdated a bit. Integration with newer version control systems such as VSTS is buggy. Test Studio has a very clean user interface experience and makes user acceptance of the tool easier to a less technical audience. For smaller applications, where simple use of the test recorder and playback seems like a great use of this tool. Progress Test Studio aims to be the easiest to use Web Automation tool on the market, widely used by Enterprise QA’s for testing, but easy enough for anyone. The product automates testing for WPF, Silverlight, Web, HTML, Angular, React, KUIB, iOS, Android, Mobile Web, and API’s. 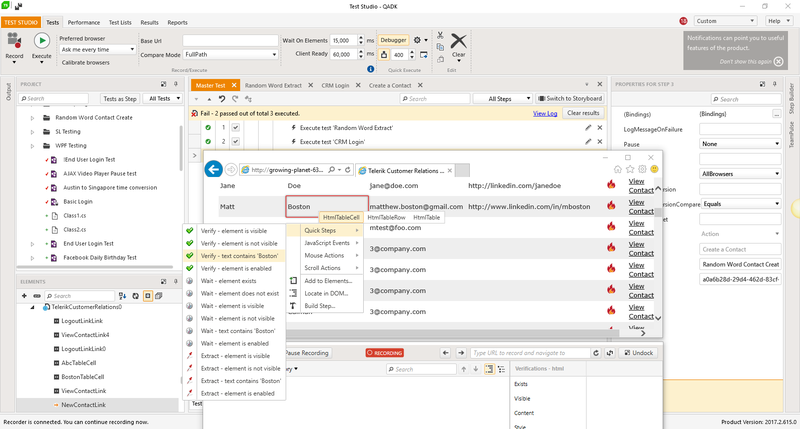 Test Studio is ideal for a no-code or low-code approach for: QA Test Automation, Application Monitoring, Performance and Load Testing, Web/Marketing Process Automation, and Mobile App Automation. Test Studio Mobile – Codeless Test Automation for iOS and Android: Native, Hybrid, and Mobile Web applications. Including sophisticated find logic for test re-use across multiple devices. The Android Instrumentation Wizard will get you testing in no time. And codeless maintenance will empower your QA’s.Test Studio Ultimate - makes it easy to reuse your functional tests as Performance tests, and in Load tests. This saves you many hours of extra maintenance. 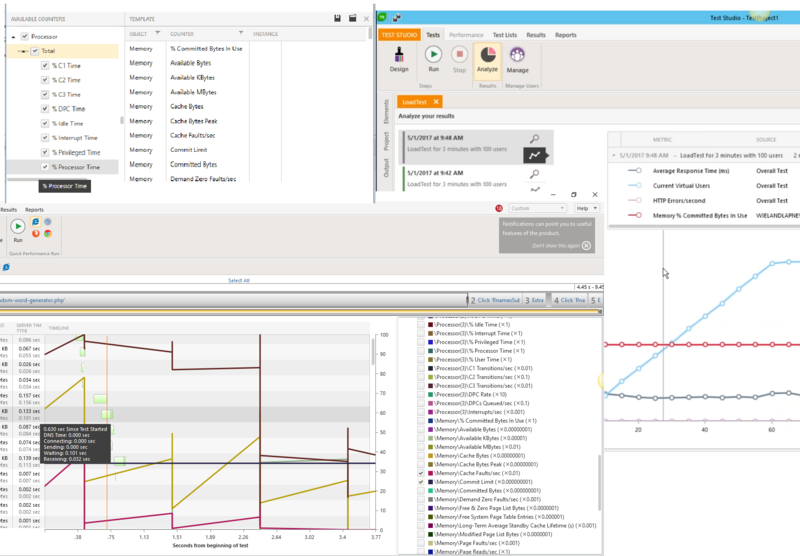 The Test Studio Runtime and Full License include the Profiler for tracking windows performance counter data. 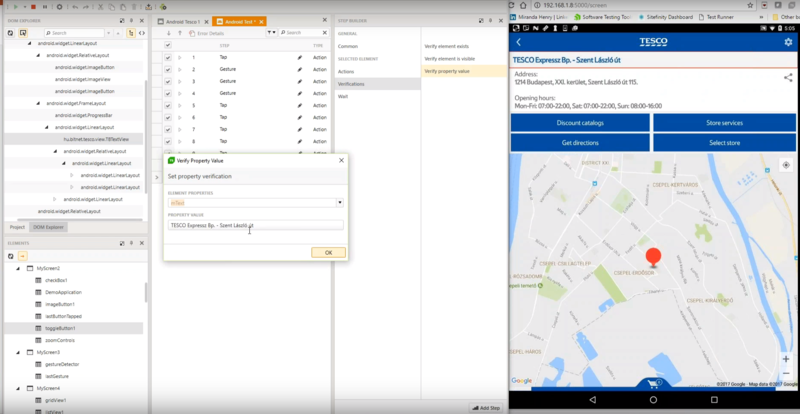 Combined this data will help you pinpoint the bottlenecks in your application.Test Studio allows you to customize the element find logic to custom fit each application. With a focus on ease-of-use a tester can quickly record their manual test and execute it back as automation. The Test Studio Element Highlighter will help you quickly add Verifications on-the-fly as you record your test. There are 4 different ways to automate applications with Test Studio, and only 1 way requires code.Test Studio for API’s – Codelessly capture and assemble your api calls into intricate tests with GoTo conditional operations and verifications, and of course it integrates with Fiddler. You can easily integrate Test Studio into your Continuous Integration process as well.